There’s no doubt that buying a home is one of the biggest investments that a person will ever make. Unfortunately, many buyers have no idea what they’re doing, and their naïve behavior ends up costing them a great deal of time and money. Read on to discover the ten biggest mistakes that buyers make and the best way to avoid these pitfalls. The mortgage should be the biggest determining factor in which house a buyer chooses and what they pay for that house. First, buyers should contact an independent finance broker and get their help with choosing a favorable lender and a mortgage product. Then, the buyer should get pre-approved for the loan so that they have negotiating power when they shop for homes. Because big numbers can be blinding, buyers often overestimate what they can really pay for a home. Getting pre-approved for a mortgage helps them see what their payments will look like. However, buyers should also factor in their down payment (at least 20 percent of the purchase price) and closing costs (1-2 percent of the purchase price) at the outset. There’s also insurance payments, property taxes, and yearly maintenance. Add these things up, and then let them inform the budget limits. Banks typically require CMHC mortgage loan insurance if you make a down payment of less than 20 per cent. Unfortunately, there is an associated cost to the buyer to use this service that can be as high as 3.25 per cent of the value of the loan. Under the Home Buyers’ Plan, first-time buyers can use up to $25,000 in RRSP savings ($50,000 for a couple) for a down payment. A higher down payment will save thousands of dollars in interest over the life of your mortgage. Buyers need to conduct a thorough inspection for more than just cosmetic changes. Check that the drains, faucets, water, and toilets work. Turn on the air conditioning system, look for signs of mold and mildew, and inspect the electrical panel for questionable wiring. Ask potential neighbors about potential issues, as this will help buyers avoid expensive repairs and frustration later. When buying a home, dealing with a real estate agent is essential. They know the local area well and will know how to find the house the buyer wants. They also have information on recent home sales in the area and can use that information to the buyer’s advantage during negotiations. They can also administrate the closing so that the buyer doesn’t have to worry about it. Buyers need to make sure their interests are protected because the seller will likely be doing the same. Spend a considerable amount of time combing through the contract before its signed to ensure that everything that has been agreed upon verbally is included in wording that is clear and concise. Be sure there are no clauses or loopholes that hold the buyer responsible for things that have not yet been negotiated. The worst mistake a buyer can make is to buy under pressure because they’re tired of looking or just don’t want to rent any longer. This often leads them to buy homes that aren’t really right for them simply because they are fed up with the process. Instead of making a purchase they’ll regret, buyers should save themselves time and hassle by hiring a buyer’s agent to look for homes for them. Even after a buyer has conducted their own inspection, they should have a professional come in to look for hidden problems. There could be small cracks in the foundation that could be costly to fix or chimney issues that could easily result in fire if left unchecked. 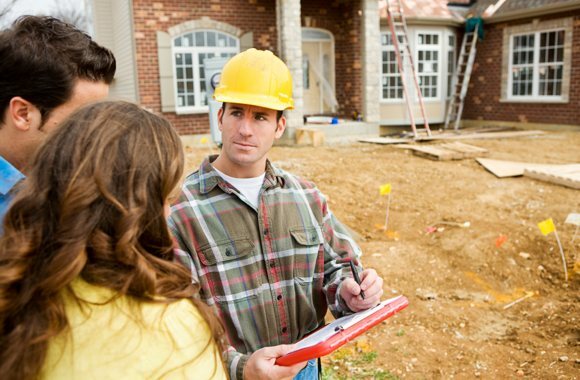 The professional inspection saves homeowners lots of heartache in the long run. Simply put, the real estate agent works for the seller. In fact, they are legally obligated to protect the seller’s interest. When talking to the real estate agent, it’s important to keep that in mind and filter their advice accordingly. In addition, it’s wise for the buyer to hire their own buyer’s agent who will work to protect their particular interests. The home buying process can be physically, emotionally, and mentally draining. It’s long and tedious, and there’s a lot of confusing legal and financial jargon that gets thrown around. This is why buyers need help. Whether it’s having another experienced buyer tag along, talking to a financial advisor, or hiring a buyer’s agent, every buyer should have support in the process. It may sound strange, but buyers should always look ahead to the day they will sell the home. Having a seller’s mindset when buying a home will help buyers avoid the aforementioned pitfalls and keep them from making a bad investment in the first place. Purchasing a home can be an exhausting process, but buyers need to remain vigilant in protecting their interests and committed to making sound decisions. In the end, following this advice will help ensure that buyers end up with a great home that fits both their needs and their budget.